Harajuku trio of fashion college students all wearing dark street styles while out and about. 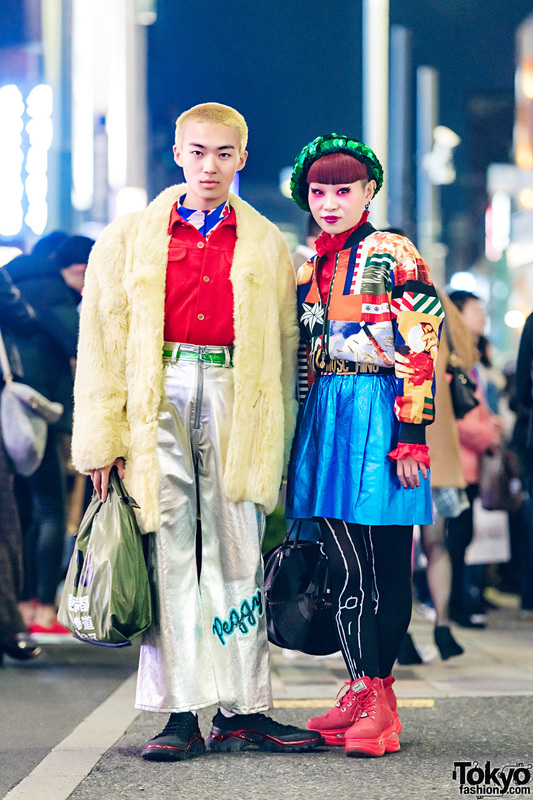 Japanese student showcasing casual-cool vintage street fashion in Harajuku. 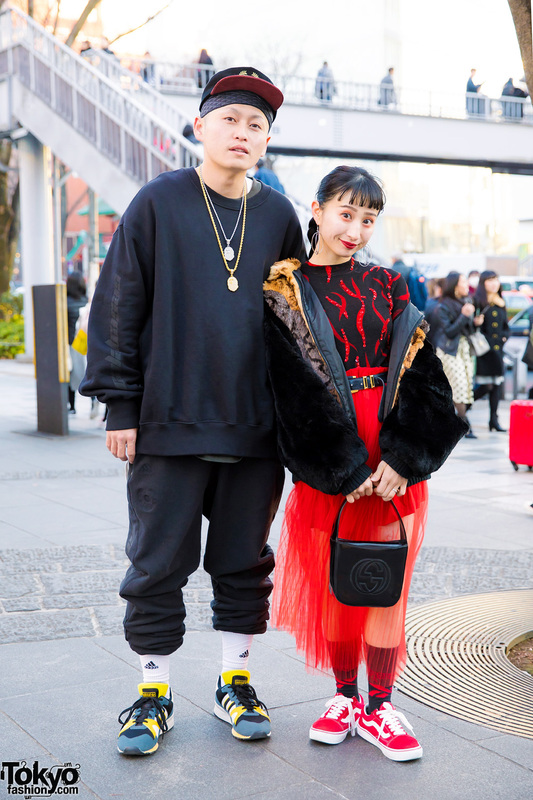 Harajuku couple in black and red streetwear styles while on the Harajuku street. Harajuku girl in colorful printed fashion w/ crochet bikini top over floral print blouse, ruffle lace pants, creepers, printed handmade bag, a rainbow hat, red earrings, beaded necklace and a watch. 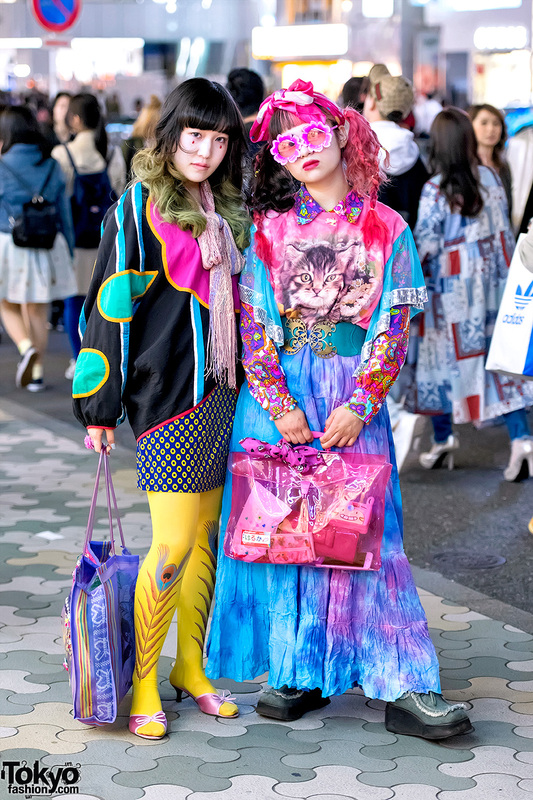 Fanatic Magazine publishers Fuki and Haruka on the street in Harajuku wearing colorful vintage, resale, and handmade fashion. Harajuku girl in black top and midi skirt with tote bag, flower rings and buckle sandals.